Continuous growth should be the aim of all enterprises. The problem, however, is that there are usually many variables in business operations that could hinder it. For instance, one prevalent issue among SMEs is getting customers to pay on time for acquired products and services. This situation is a slightly difficult one since customers could also be waiting on payments themselves, in order to pay their product or service provider. The delay with payment typically prevents businesses from grabbing profitable opportunities that demand immediate payment. Furthermore, this can affect the productivity of operations because funds are required for daily operations. It may even result in an unhealthy compromise with other business connections. Ensuring safe transactions is another setback to growth that businesses tend to experience. Establishing trust between transacting parties with no previous relations often proves to be a complicated process. For many businesses, complex processes are a turn-off and their natural inclination is to avoid them at all costs. There are still many other issues that stunt the growth of businesses. However, those that involve cash inflow such as the above two mentioned are commonly the ones that result not only in causing business performance to plateau, but to eventually shut down as well. When enterprises don’t establish strong defenses against operational cash flow hindrances becoming competitive is simply impossible. And in today’s cutthroat business environment, the competition swallows up weak players that refuse to “fight” with smart and aggressive strategies. 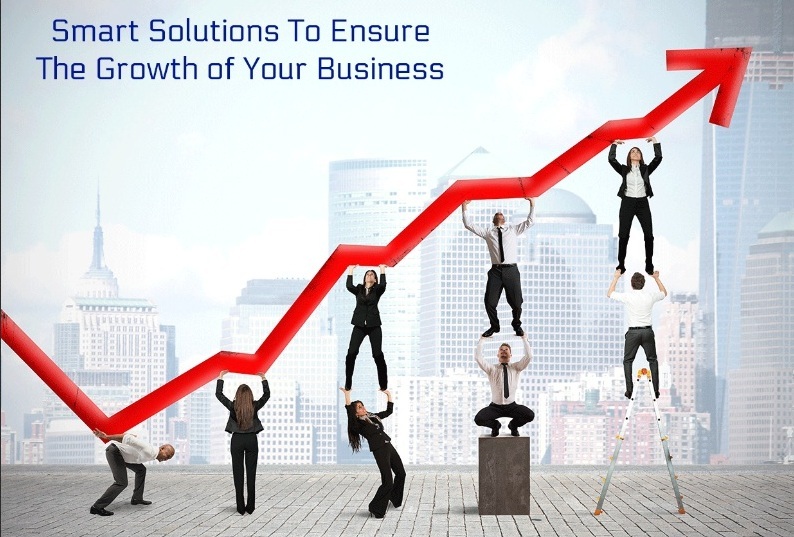 Fortunately, solutions to common business growth and expansion problems are now provided by top commercial banks. So, if you’re a business owner, it’s imperative to work with a top caliber commercial bank. Set up an account with the best business bank in your area, and look into the various financing and risk management solutions available. These provisions can improve the way your business manages its resources and receivables. If you need to improve your cashflow and forecasting, receivables financing is one of the best solutions to take advantage of. If your business qualifies for it, you can unlock money stuck in the payment cycle. You can access up to 90% of invoice values as soon as they are issued. This will allow you to replenish necessities for operations faster or grab opportunities for increased income. Apart from making global trading secure, it can boost the efficiency and productivity of businesses. Likewise, the ability to trade internationally can open doors to even more opportunities for improving business. It can diversify your business’s supplier network. This will allow you to expand or increase your offerings, as well as your end-users. Trading internationally comes with a lot of risks. However, you can be better prepared for everything from delays, to differences in legal requirements, currency risk, and others with the help of import/export finance. This managing risk solution secures global transactions for both clients and suppliers. These will enable you to negotiate favorable terms with both buyers and supplier. The guarantee will protect them from under performance within a contract. They can have the assurance that transactions with you will not result in a loss to them. It encourages trust in you. This trust can then prompt them to initiate repeat transactions in the future. These transactions will ensure positive cash flow for your company. Having a corporate credit card will allow you to take a more strategic approach to the management of your business’s expenditure and other financial accountabilities. If your receivables are still stuck in the pay cycle, with a corporate credit card, you’ll be able to take advantage of everything from cheaper deals for supplies, to new business expansion initiatives that require immediate payment. It’s important to note as well that this solution can provide your business all kinds of perks. Many commercial banks have a rewards system. They grant an assortment of rewards for the use of the credit cards. The points system can generate money that the business can use. You can earn points cover for necessary product purchases or procurement of services. Aside from the financing solutions listed here, banks also have other useful services that you can consider. Business specialists can lend their expertise to enterprises. They are a fantastic source of information and advice so businesses like yours that hope to expand their operations can make the informed decisions. You can schedule a consultation with them regarding the myriad of financial concerns you have about growing your business.